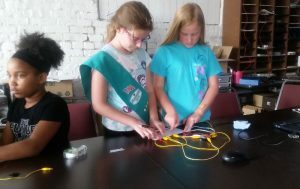 Central Indiana girl scouts learning about electronics & coding. 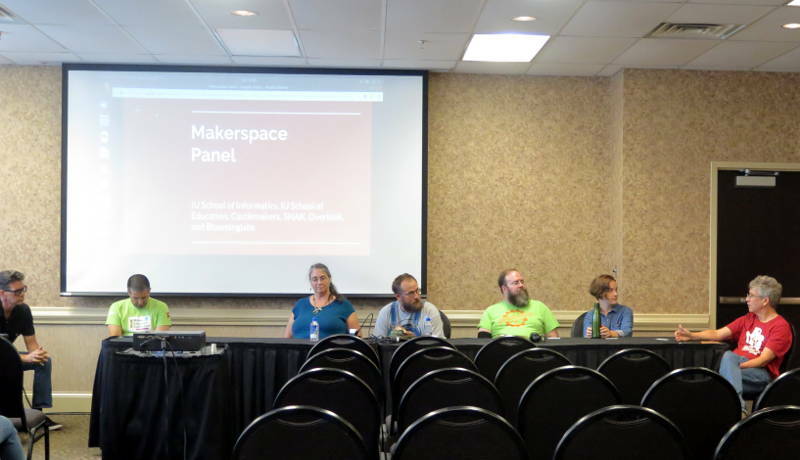 This last Saturday we had 2 events going on in 2 different cities, a bit of a landmark for Castlemakers. In Greencastle we had our first STEAM class for the Girl Scouts of Central Indiana. 15 girl scouts and parents from Indianapolis learned about sensors and coding using Circuit Playground Arduino based boards. 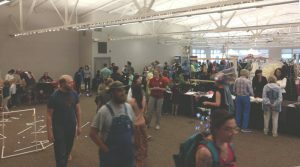 2nd Floor Main lobby of Makevention, but a lot more in other rooms and first floor. 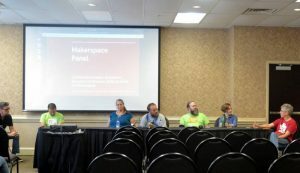 Makevention Makerspace panel including Castlemakers. At our booth we had some of the PuttCode robots which we used on the CoderDojo mini-golf hole, although several other holes from previous Putt Putnam County events were there also. 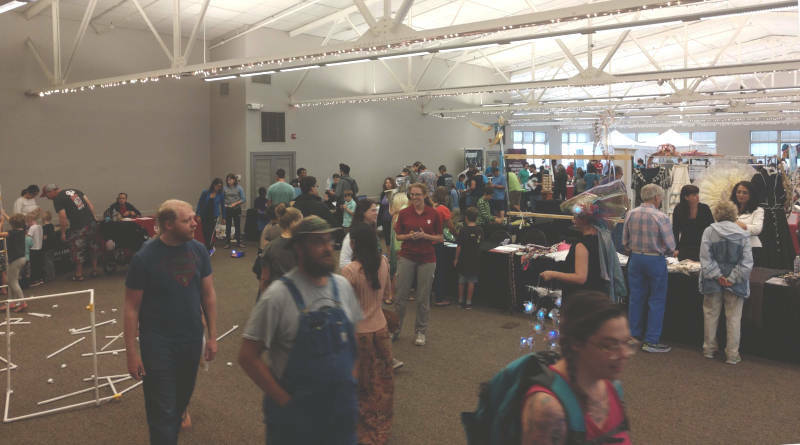 The other booths were also interesting, it’s a great event for seeing what other groups in the area are doing and making. It’s usually the last Saturday in August and definitely worth attending.